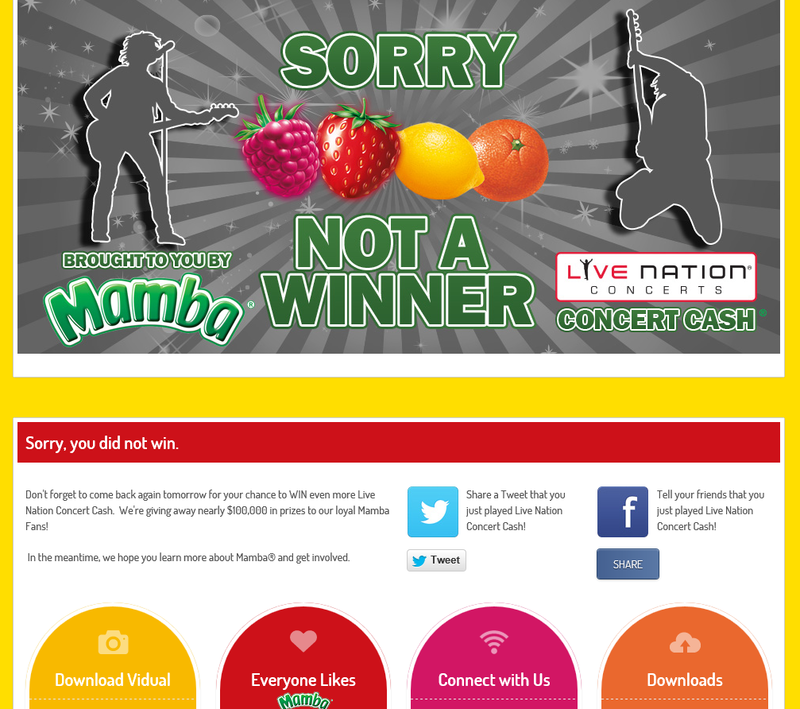 Live Nation leveraged PeopleVine's Contests features to encourage interaction with their brand while capturing valuable customer data. Efficiently manage a large-scale contest campaign. Preventing entry abuse while coordinating a large-scale, multiple-piece contest campaign. The campaign included three components: an instant win scratch-off game, a voting-based battle of the bands, and a sweepstakes to win an interview with an artist. Live Nation used PeopleVine to launch each of the contests, manage authentication, and capture key marketing data from entrants. PeopleVIne's automated tools let them limit the amount of plays and frequency of participation allowed, view real-time voting results, set the odds of winning, and block abuse by setting IP address and authentication requirements. 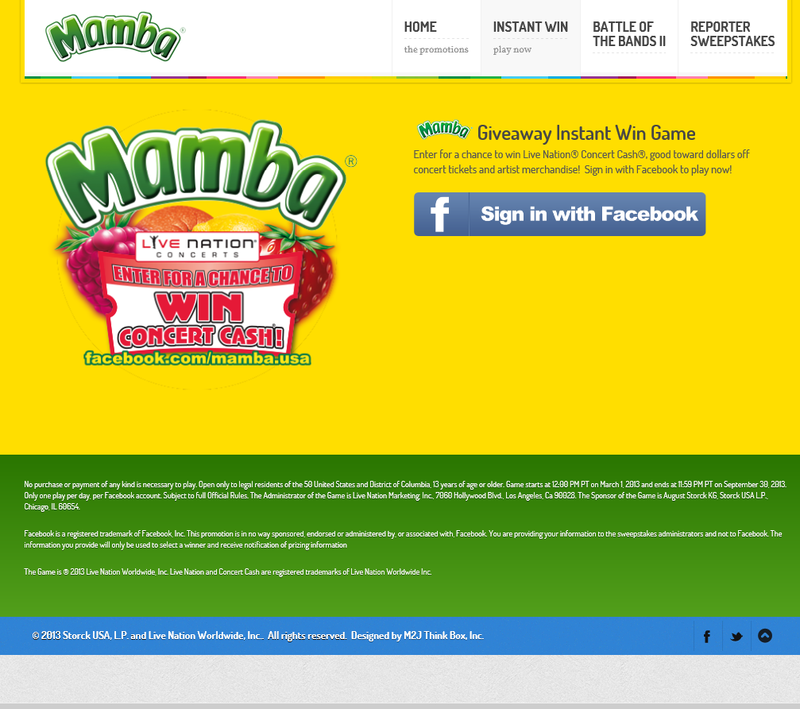 75,000 fans were engaged through the three interactive contests. 350,000 consumer data points were captured for future marketing opportunities. The contests were played over 500,000 times (limited to one play per person per day). This is the landing page when people entered the contest. This was the ticket the user would be able to scratch with their finger or mouse. Upon scratch off, the user was revealed their prize.